We often imagine a world where we can walk down the street and be able to pay using virtual currency everywhere we go. For a small suburb outside of Cleveland, Ohio, this is becoming a reality. Located in the Cedar and Lee district and just ten minutes outside of downtown Cleveland is what will soon be known as Bitcoin Boulevard US. Residing in Cleveland Heights, accurately named Bitcoin Boulevard US will soon give patrons of local businesses the ability to make purchases with Bitcoin. In early May, several businesses along Lee Road will begin accepting Bitcoin. Organized by CoinNEO (koy-nee-oh), Bitcoin Boulevard US currently consists of eight merchants and 2 service providers, with the hope to have 10 on board by the date of the event. The event will be an organized community event in the same spirit as Bitcoin Boulevard in the Netherlands. CoinNEO is following a similar model, and will be one of the few Bitcoin communities of its kind centered in the United States. The event is planned for May 1, and will allow both the experienced and beginning user to get a handle on using Bitcoin within brick-and-mortar businesses. Bitcoin Boulevard US will cover over two walkable blocks along the same street, with opportunities to experience fine dining, retail shopping, salons and artisan sweets – all using virtual currency. CoinNEO is a Bitcoin consulting firm based in Cleveland Heights which partners with organizations to explore opportunities, risks and solutions associated with accepting Bitcoin as a payment option for their customers and B2B associations. Founded by Nikhil Chand, CoinNEO helps educate safe and secure Bitcoin practices and implements Bitcoin tools for online and in-person transactions. The company has worked hard to inform merchants about the benefits of Bitcoin, with the first being The Wine Spot in Cleveland Heights. Since that time, Chand has been focused on spreading knowledge of Bitcoin and organizing Bitcoin Boulevard US. In fact, the Wine Spot was the host of the most recent Cleveland Bitcoin Meetup. Chand and CoinNEO have been hard at work preparing merchants to accept Bitcoin for the opening of Bitcoin Boulevard US. Among the current merchants will be Sweetie Fry, creator of “ridiculosly good fries” and hand-made ice cream; Mitchell’s Fine Chocolates; The Wine Spot, a cafe providing wine and craft beer; Shawn Paul Salon; popular restaurant and bar, The Tavern Company; sustainable clothing designers, Revive; Parnell’s Pub, The Katz Club Diner and service provider, Monroe Constructs. A walk down Bitcoin Boulevard US will place you right in the middle of a Bitcoin economy in action. 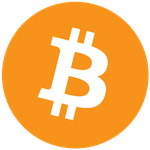 Bitcoin Boulevard US will provide a destination for Bitcoin commerce for both local and international patrons. The number of small businesses adopting virtual currencies fosters broader discussions on the role of these currencies, now and in the future. For local businesses like those who are part of Bitcoin Boulevard US, Bitcoin has the potential to increase margins by reducing processing and fraud fees, which is especially important to a small business’ level of success. Virtual currency can increase brand awareness, grow our customer base and reach globally.